Our national debt is growing at a rate of $49,000 per second. It’s clear that the value of the U.S. dollar is eroding and will continue to do so as Congress continues to inflate currency in an effort to fund wars and welfare. 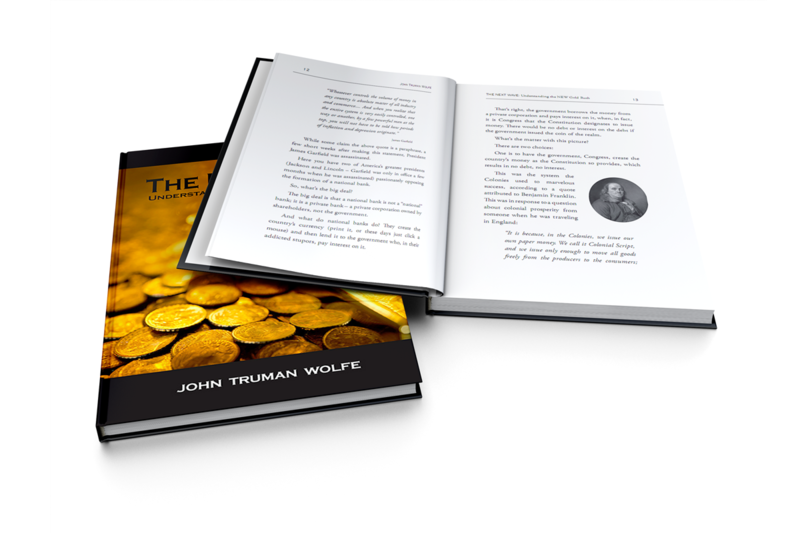 For a limited time, American Bullion is offering a free digital download of the book “The Next Wave – Understanding the New Gold Rush” by John Truman Wolfe. This book offers a fast paced overview of the history of money, the Fed, inflation, derivatives, and currency versus precious metals. To download your free copy of this book, just fill out the form below and an email will be sent to you with instructions on how to download. The borrowing won’t stop. The printing won’t stop. And neither will gold’s ascendancy. The first wave of the great precious metals bull market of the twenty-first century took gold from $252 an ounce to a stunning $1862, and silver from $3.56 to $48.58. With a more than 700% increase in gold and an eye-watering 1300% increase in silver followed by step shakeouts in both, many thought the precious metals bull was dead. With the yellow metal having built a base in the $1700s and silver in the high $20s to low $30s in 2011, John Truman Wolfe presents the compelling case for the Second Wave of the great precious metals bull market. Using both historical data and the present day machinations of “Benny and the Feds,” the case for a new charge busting advance in gold and silver is not only persuasive, but from Wolfe’s perspective downright undeniable. To receive a free digital download of “The Next Wave” by John Truman Wolfe, please complete the following form and an email will be sent to you with the download instructions.